MOUNTAIN VIEW, Calif., Feb. 14, 2014 /PRNewswire/ — Companies to demonstrate ultra-low power voice activation solutions requiring as little as 20 microwatts for mobiles, smart wearables and sensor hubs at Mobile World Congress 2014. CEVA, Inc. (NASDAQ: CEVA), the leading licensor of silicon intellectual property (SIP) platform solutions and DSP cores, and Sensory, Inc., a pioneer in speech technologies for consumer products, today announced the availability of power-optimized solutions aimed at bringing advanced voice activation capabilities to a new wave of mobile and sensor-enabled devices. The solutions integrate Sensory’s market-leading TrulyHandsfree™ Voice Control Version 3.0 optimized for the CEVA-TeakLite-4 V2 DSP architecture, to address a variety of consumer applications that demand ultra-low power consumption for “always on, always listening” voice control functions. For example, the solution consumes less than 20 microwatts for voice triggering in 28nm, making it ideal for always-listening wearable devices such as smart watches and glasses, as well as integration into sensor hub solutions in smartphones. The companies will showcase the latest TrulyHandsfree features optimized for the enhanced CEVA TeakLite-4 V2 architecture at the 2014 Mobile World Congress in the CEVA booth (Hall 6, Stand A50). “We continue to build the industry’s most advanced set of solutions and ecosystem for mobile applications, including the fast growing domain of wearables and sensor-enabled Internet of Things. The power optimization improvements we have made with the release of our CEVA-TeakLite-4 V2 DSP architecture combined with the optimization of Sensory’s latest features will enable our customers to gain even greater performance advantages for their voice-centric applications with an ultra-low power budget,” said Moshe Sheier, director of product marketing for audio and voice at CEVA. Version 3.0 of Sensory’s TrulyHandsfree technology allows speaker identification for personalization of the user experience via powerful and accurate voice biometric analysis of both pre-configured and user-defined passwords. Combined with power efficient voice triggering, the user needs only to speak to wake the device and retrieve their preferences. The availability of these latest features on the enhanced CEVA-TeakLite-4 V2 architecture further solidifies CEVA’s position as the industry’s most power efficient DSP architecture for advanced audio/voice applications. For more information on the Sensory TrulyHandsfree technology, go here: http://www.sensoryinc.com/products/trulyhandsfreevoicecontrol.html. 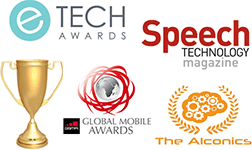 Mobile World Congress 2014 takes place in Barcelona, Spain from February 24th to 27th. CEVA will be located at stand A50 in Hall 6. For a preview of technologies that CEVA and its partners will showcase at Mobile World Congress, visit CEVA’s virtual booth online at http://events.ceva-dsp.com/mwc14. To request a meeting with CEVA please email events@ceva-dsp.com or contact your local CEVA sales office. CEVA is the world’s leading licensor of silicon intellectual property (SIP) DSP cores and platform solutions for the mobile, digital home and networking markets. CEVA’s IP portfolio includes comprehensive technologies for cellular baseband (2G / 3G / 4G), multimedia (vision, imaging and HD audio), voice processing, Bluetooth, Serial Attached SCSI (SAS) and Serial ATA (SATA). In 2013, CEVA’s IP was shipped in over 1 billion devices, powering smartphones from many of the world’s leading OEMs, including HTC, Huawei, Lenovo, LG, Nokia, Motorola, Samsung, Sony, TCL and ZTE. Today, more than 40% of handsets shipped worldwide are powered by a CEVA DSP core. For more information, visit www.ceva-dsp.com. Follow CEVA on twitter at www.twitter.com/cevadsp.